MBA House is a residence that opened in fall 2009 located in South Campus. The idea for an MBA-only residence, “inspired by Harvard,” was touted as a big step forward for Sauder and UBC. 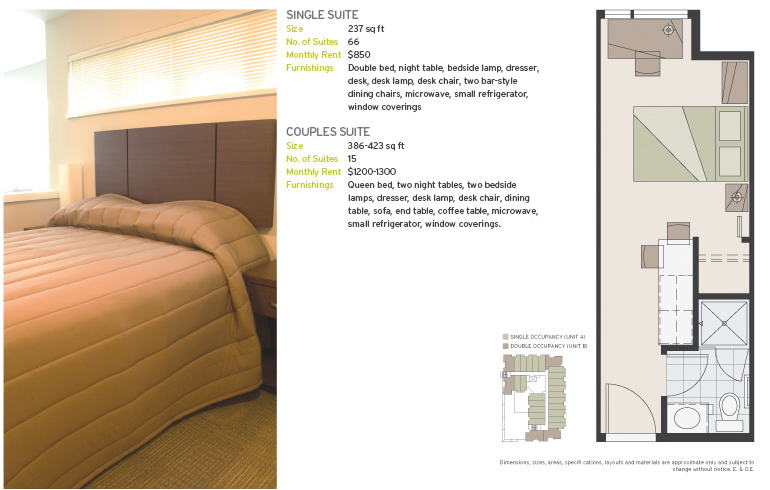 “We are happy to invite you to live at UBC’s newest on-campus Residence starting in January. Sounds great, right? Everyone is always clamouring for the creation of new on-campus residence opportunities for students. Take a look at the floor plans, and prices. Welcome to the Radisson... er, MBA house. For $850/mo, suites don’t come with any semblance of a kitchen except a bar fridge and microwave. While not having a private kitchen is certainly not uncommon for a residence, there are usually arrangements made to compensate for this. In the case of Totem and Vanier, every student has a meal plan. For Marine Drive, Gage and Fairview there are kitchens shared amongst every 4-6 rooms. At MBA House, the communal kitchen is shared amongst an entire floor, approximately 25 residents. Of course, the proximity to Save-On-Foods is one of the selling points. Personally, MBA House seems more like a hotel with frills, suitable for short-term (2-3 months or less) accommodation and less like a place to actually live. It’s difficult to see why this would be attractive to the MBA demographic, or any other for that matter, on year-long leases. People looking for very basic accommodation might be willing to share a communal kitchen with 20+ others, but they would also expect to pay less as a result – the $850 price point is not affordable in this context. Unlike the majority of student residences at UBC, MBA House was built and is operated by UBC Properties Trust, not UBC Student Housing. UBC portrayed the need for changes to the Land Use Plan as necessary to providing affordable housing on campus and this housing will be built by UBC Properties Trust. They have never defined what exactly “affordable” means, nor given any plans about how to ensure it happens, except to make the units tiny. Looking at what you get at MBA House for the price demanded, I can’t help but ponder another question UBC and PT need to consider: will there be places where people can actually live comfortably?